Telugu people all over the world can experience the life of Former Chief Minister of Combined Andhra Pradesh Dr. Y S Rajashekar Reddy, the man behind free education to the poor, free electricity to the farmers and revolutionary ambulance services with 108. The biopic of the great leader on its way. Makers are planning to release the film on February 8th this year. “Yathra” the biopic of YS Rajashekar Reddy will mainly comprise the important events that occurred during the “Padayathra”. Malayali Super Star Mammootty literally lived in the character of YSR. “Anandho Bramha” director Mahi V Raghav has directed this project and 70 MM Entertainments is bankrolling this project without compromising on budget constraints. Siva Meka will present this movie. The first look, trailer, teaser has already got the impeccable response from all over the world. One more star actor Mr. Jagapathibabu vintage romantic hero turned nefarious villain is now roped in to play father character of YS Rajashekar Reddy. 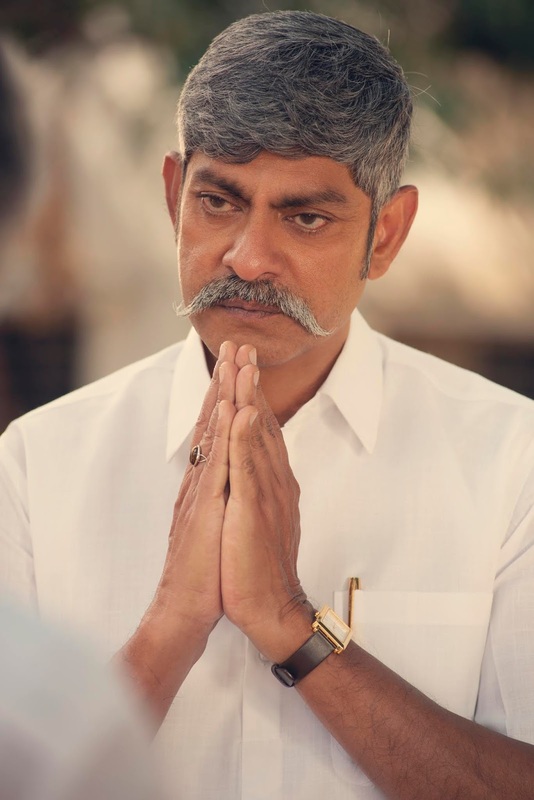 He will be seen as YS Rajareddy in the movie and the first look of the same released today.